Oooh thanks for joining in! 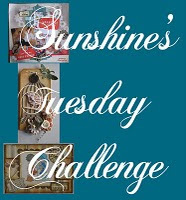 love the tag - funnily enough this time round I have done a card and layout but not a tag! will remedy that in a few days though. This is really cute BErniced!! !